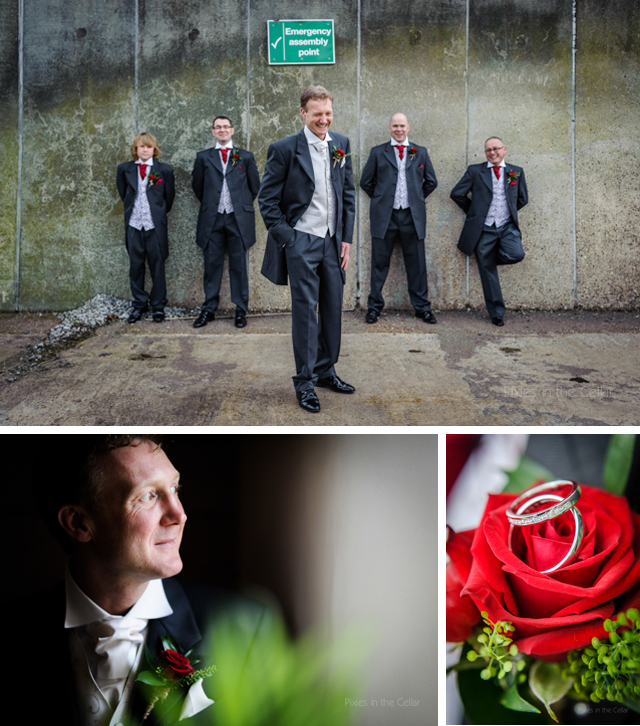 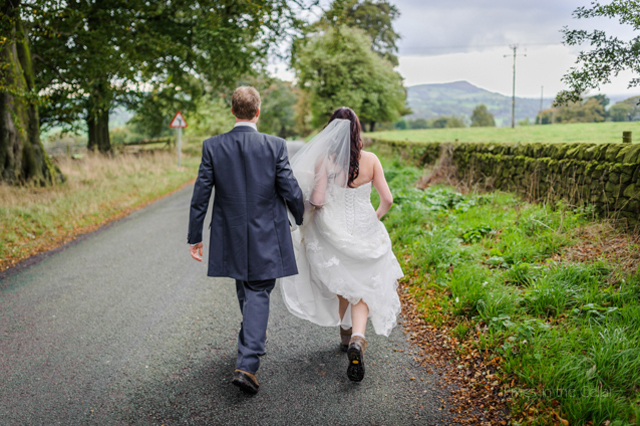 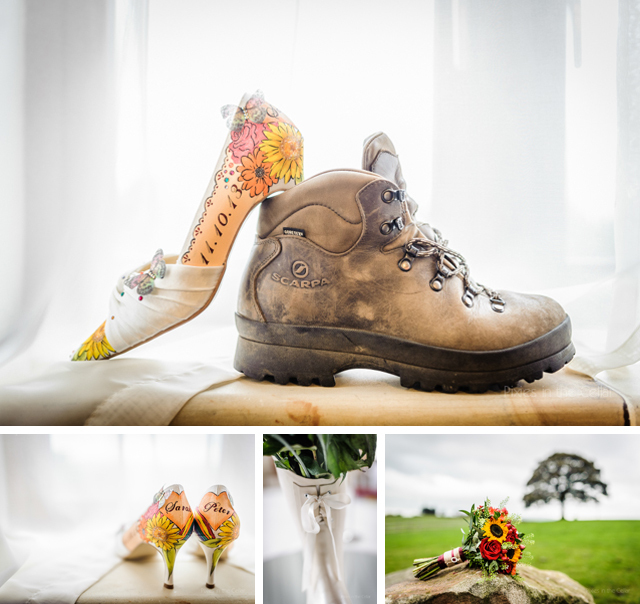 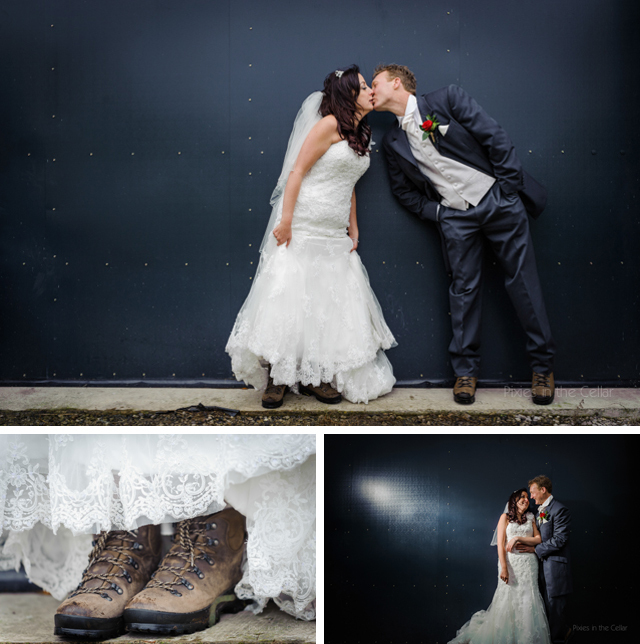 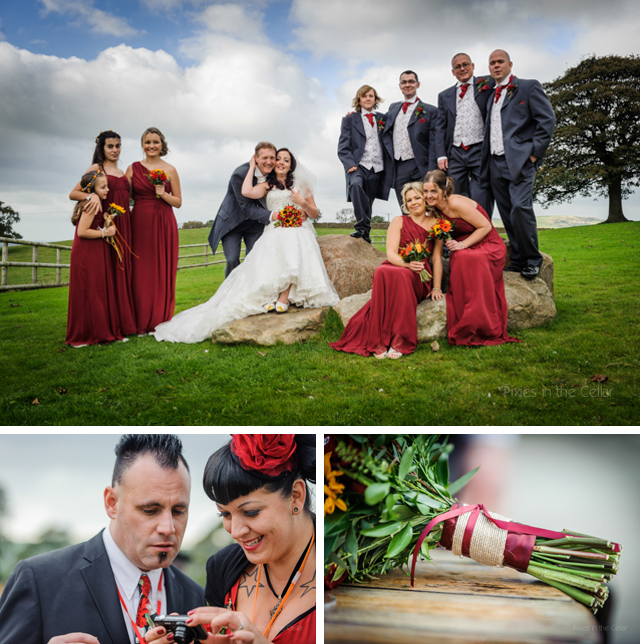 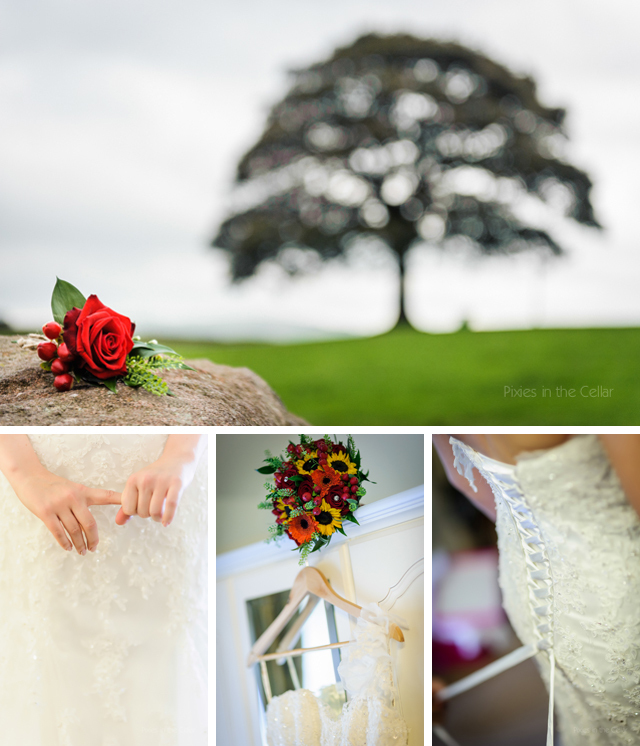 Heaton House Farm Wedding Photography • A tale of two sets of very different footwear! 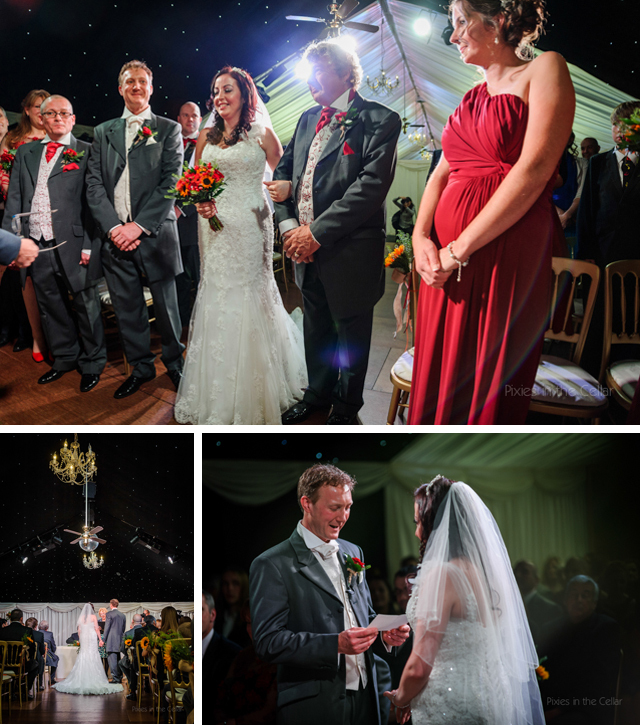 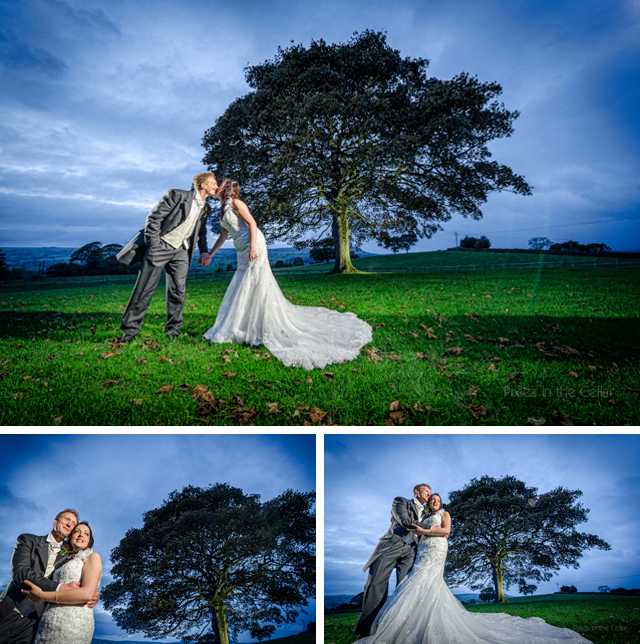 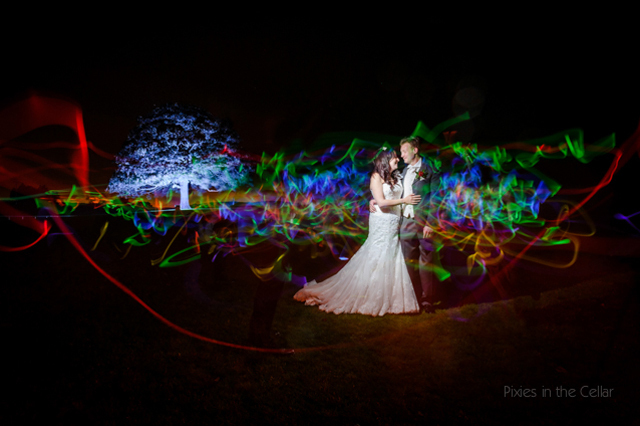 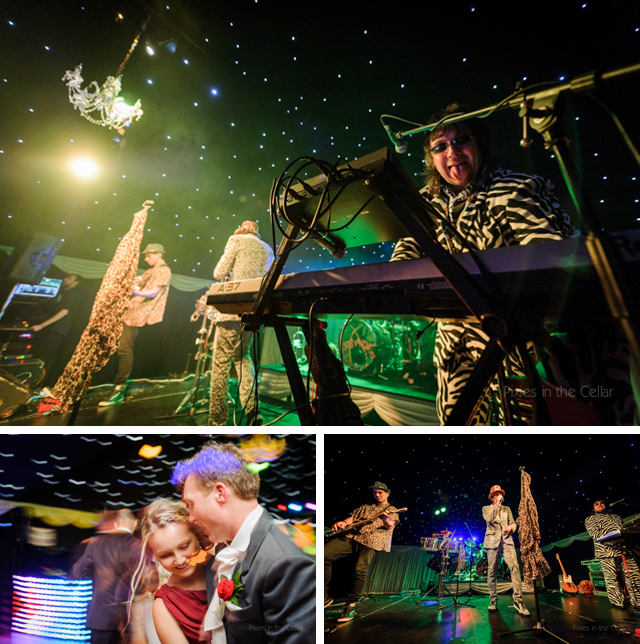 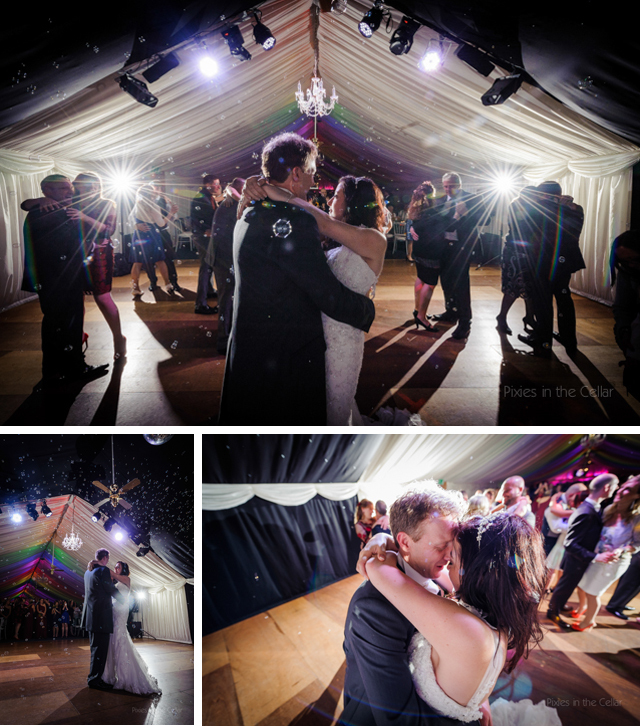 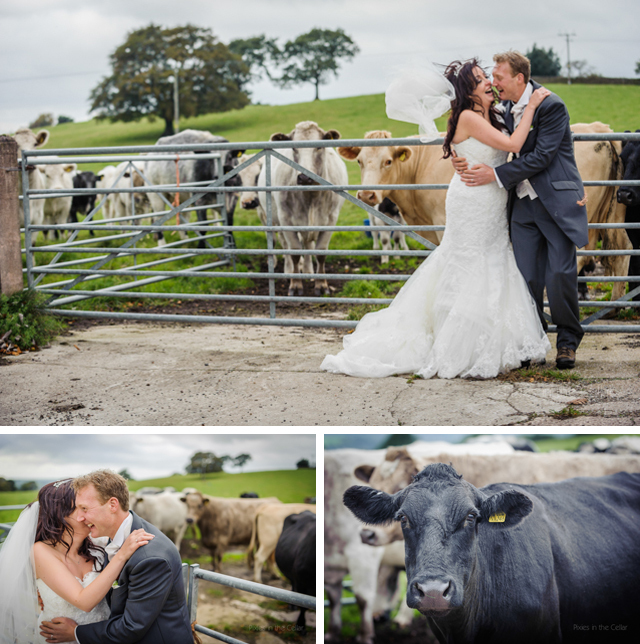 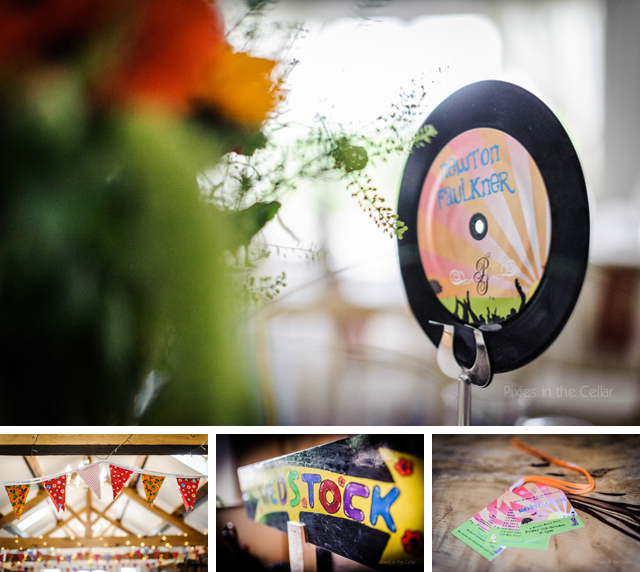 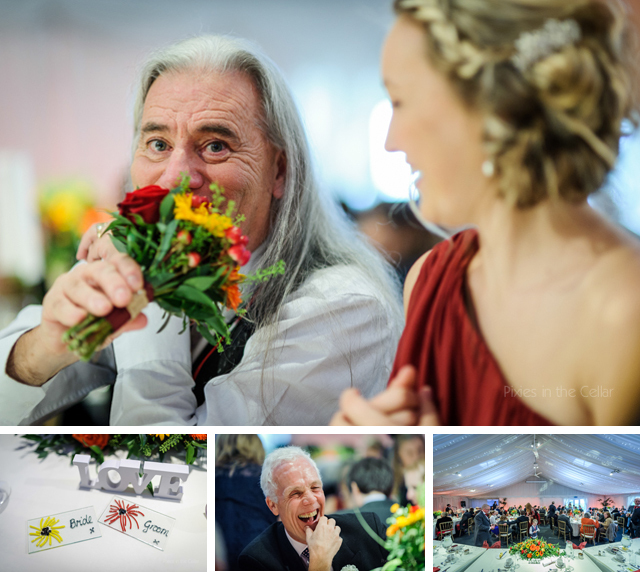 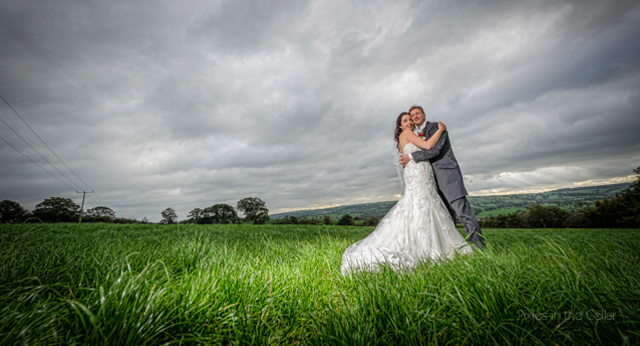 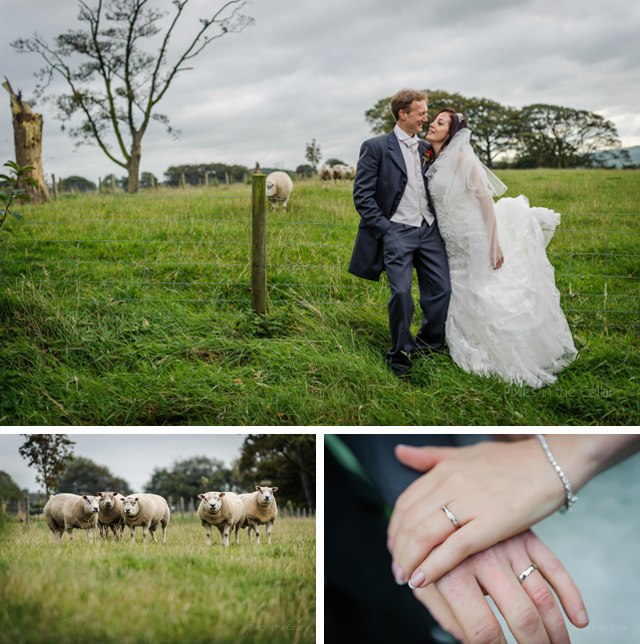 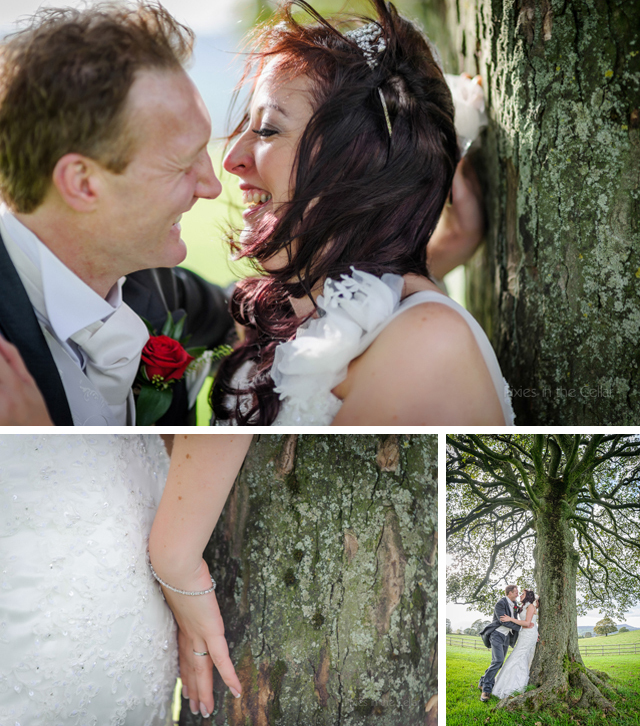 It would be impossible to forget the bride and groom’s names at this Heaton House Farm wedding… Sarah & Peter! 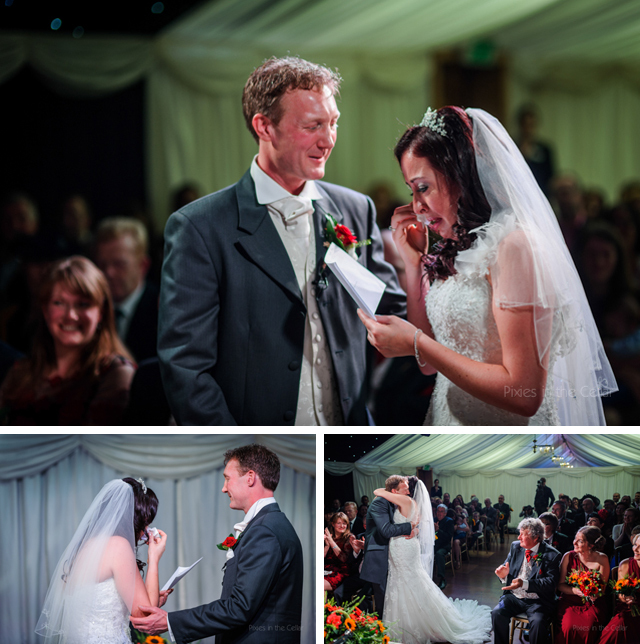 – although it was a little strange listening to the ceremony with our own names in! 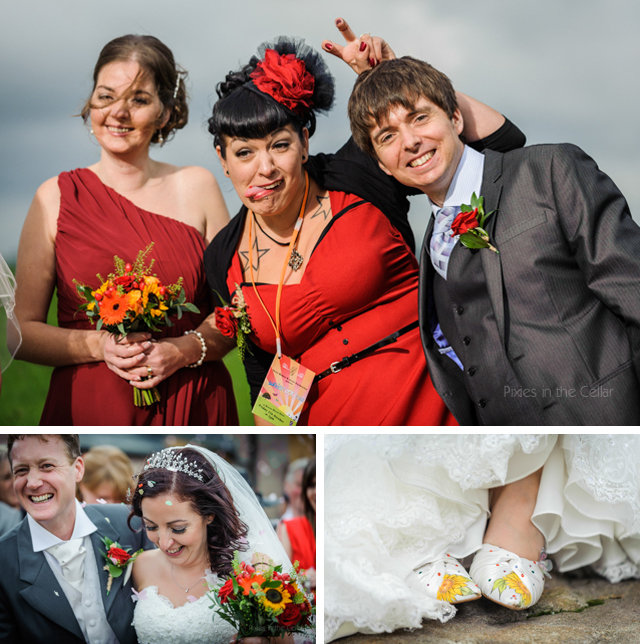 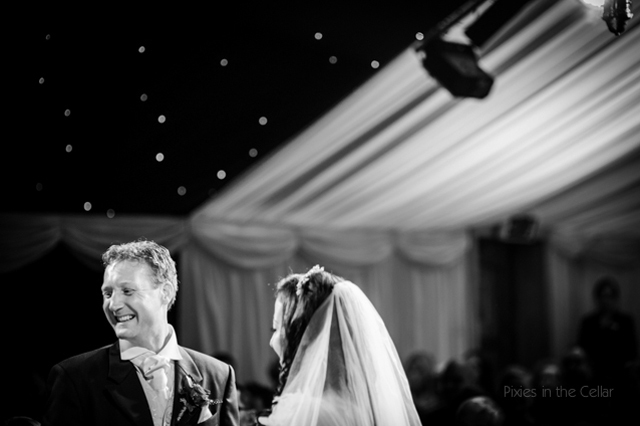 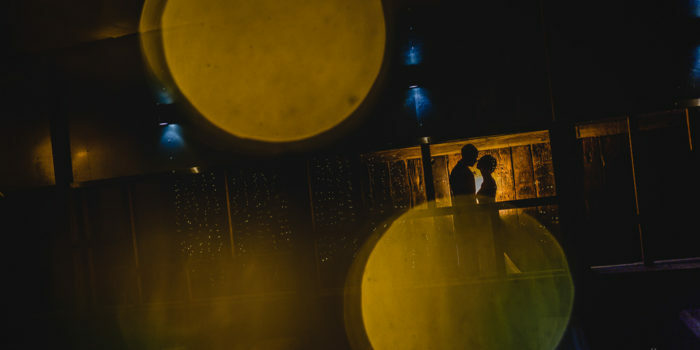 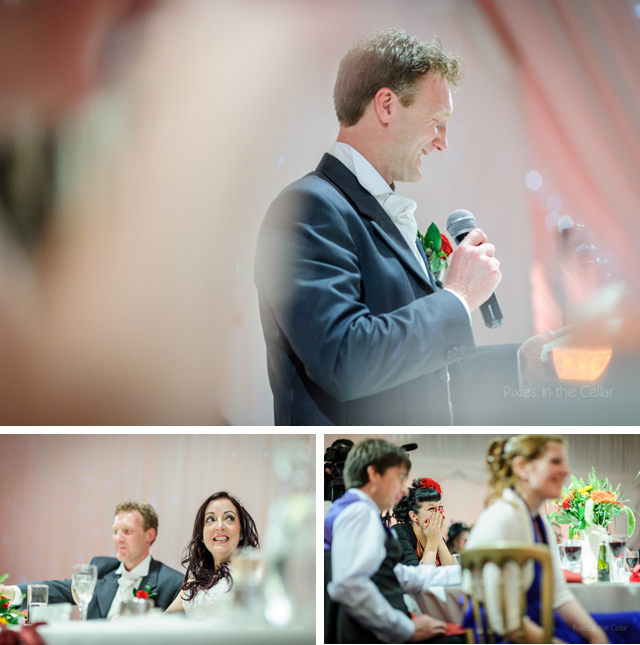 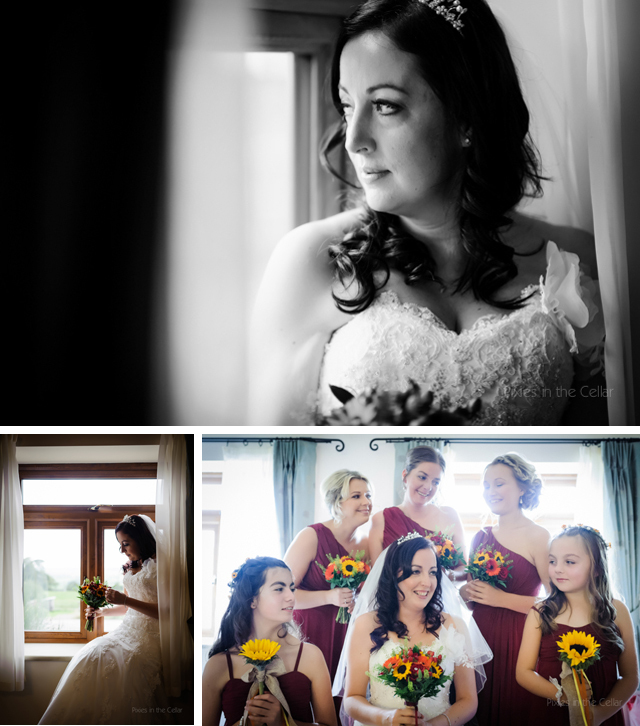 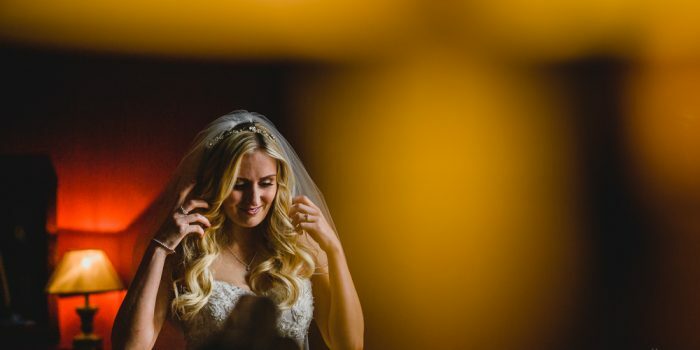 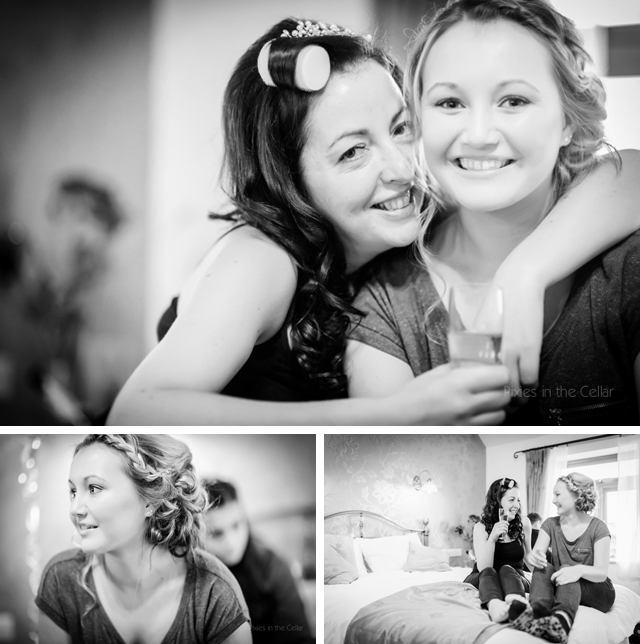 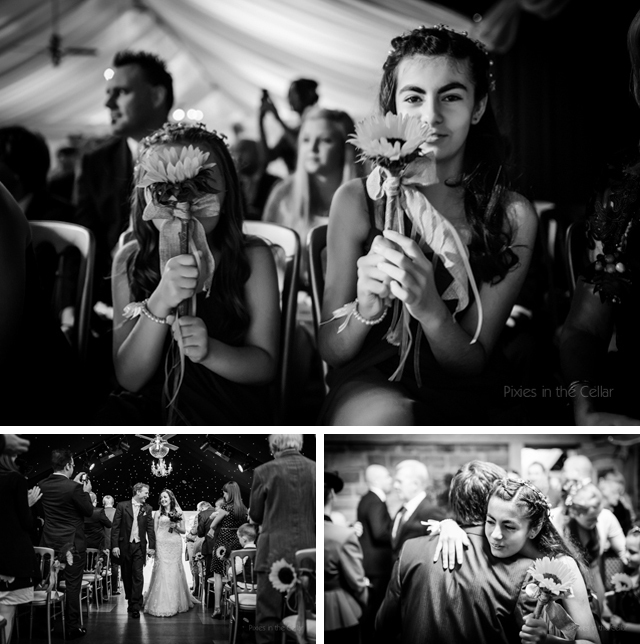 We’d previously shot Sarah’s sisters wedding, so there was plenty of familiar faces and a great chilled out atmosphere. 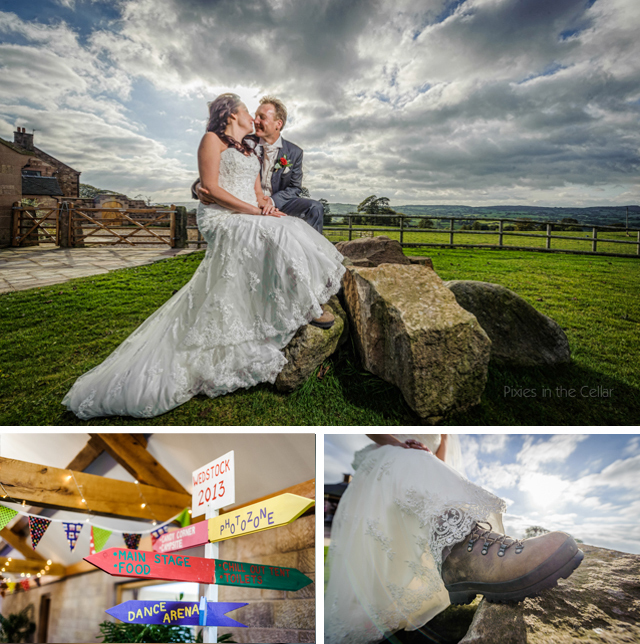 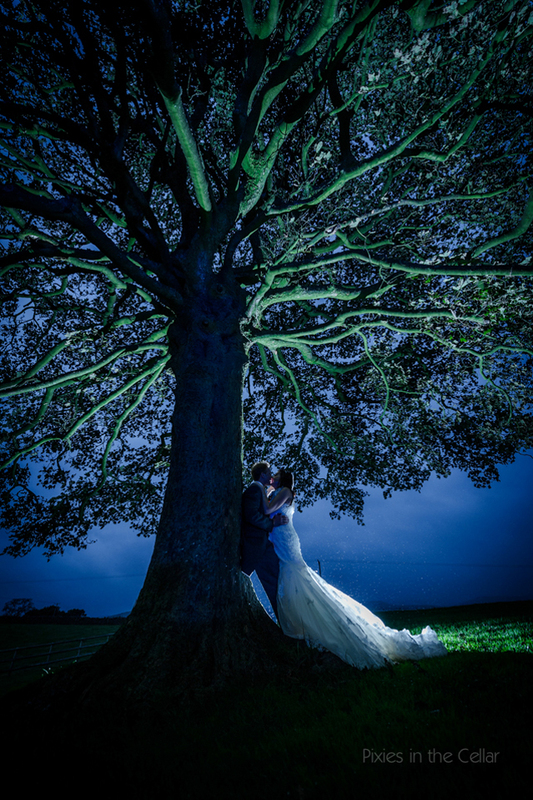 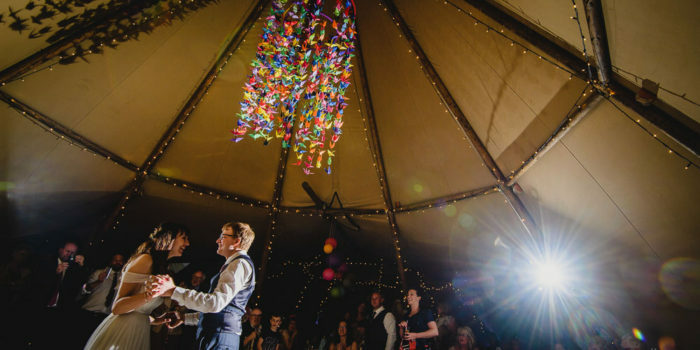 Heaton House Farm – the perfect wedding venue for an outdoorsy couple. 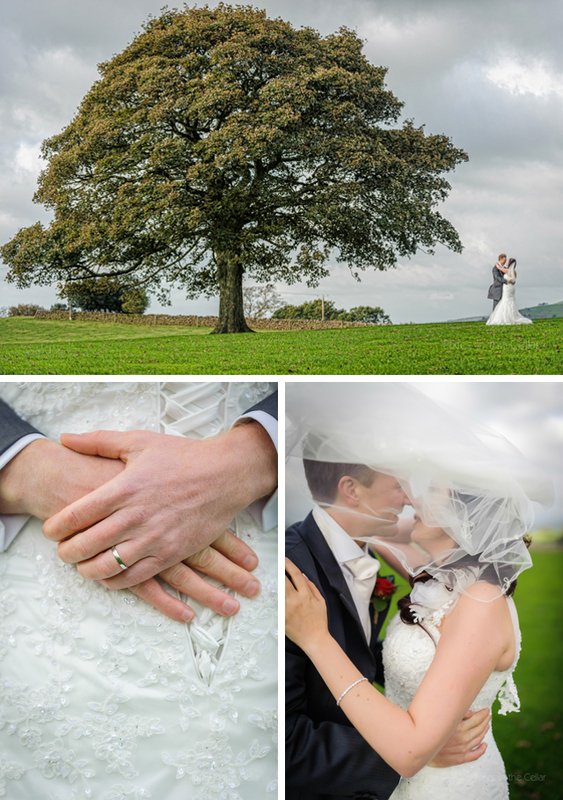 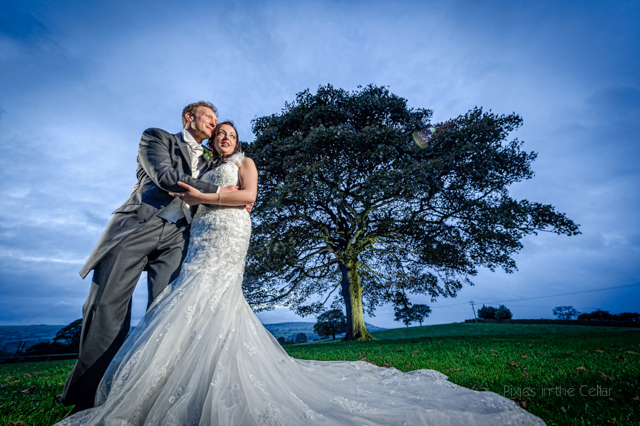 Sarah & Peter chose Heaton House Farm as they love the great outdoors and they could see many of their fave walking spots within the stunning views from the farm, as well as the iconic Heaton House Farm tree of course! 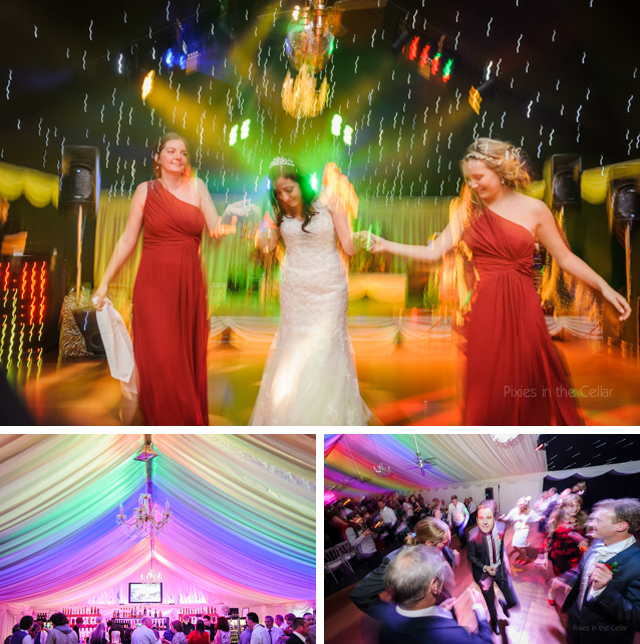 Nighttime really got going straight after their first dance… The curtains dropped to reveal the zany band ‘Rang A Tangs‘ who were totally stunning, one of the best bands we’ve seen at any wedding this year, highly recommended :) To keep the ‘fest’ feel going we enlisted loads of kids and light sticks for a multi-coloured light painting shot, obviously including that famous tree!